Circumstances - Scott was last seen on Balranald Rd Ivanhoe, NSW on 11 October 2002. Scott had left the vehicle he was travelling in and was last seen running towards a property off Balranald Rd. Several searches have been conducted with a negative result. There are serious concerns Scotts safety and welfare. 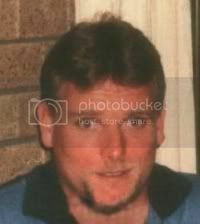 ON the 11th October 2002, Scott Donald NEVEN, aged 31years, was last seen on Balranald Road after leaving Ivanhoe, NSW. It is believed that NEVEN has met with foul play and is now deceased. conviction of the person or persons responsible for the death of Scott Donald NEVEN. A $100,000 Government reward is on offer for information leading to the arrest of those responsible for the death of Scott Donald Neven. Mr Neven, who was born on 23 February 1971, was last seen on Balranald Road, Ivanhoe, on 12 October 2002. An inquest held in July 2006 by the Deputy State Coroner found that Mr Neven died on or about 12 October 2002. As no trace of Mr Neven has been found since, the Coroner could not make any findings over the precise place, date, manner or cause of death. The Coroner ruled that Mr Neven met with foul play. Consequently the Reward Evaluation Advisory Committee recommended the reward for information leading to the arrest of Mr Neven's killer. Detectives investigating the killing of Mr Neven have conducted extensive enquiries but have exhausted all leads. But they are convinced persons within the community have knowledge of the crime and may be persuaded by the reward to assist them. Click here for more information on Scott Donald Neven on the NSW Police Force Missing Persons Enquiry System. A reward of $100,000 is being offered to try to solve the suspected murder of a man near Ivanhoe in outback New South Wales almost five years ago. Scott Neven was on a pig hunting trip in October 2002 when he was last seen near Ivanhoe in far west New South Wales. Sergeant Scott Wheeler says the 31-year-old Victorian was in a car with two friends when a fight erupted. "It's alleged that Neven crawled under a wire fence and ran off into a paddock," Sgt Wheeler said. "The others returned to the vehicle and left." A coronial inquest held last year found Mr Neven died on or about that day, but it is still not known precisely how or where. The New South Wales Government has announced a $100,000 reward for information leading to an arrest. Local police are using National Missing Persons Week to renew calls for information about a man who was last seen near Ivanhoe nearly ten years ago. Police say Scott Neven, from Bacchus Marsh in Victoria, was travelling with friends in October 2002 when they had an argument. Mr Nevan got out of the car about 20kms south of Ivanhoe, and hasn't been seen since. Detective Inspector Mick Stoltenberg says anyone with information should contact CrimeStoppers. "This was an extensive investigation that took place over several years, it's even been to a coronial inquest in NSW," he said. "But unfortunately we still have not been able to reveal or find out exactly where Mr Nevan is." Det. Insp. Stoltenberg said it's possible Mr Nevan is still alive. "You can never discount anything," he said. "But we're coming up to ten years down the track and there's been absolutely no sign at all of Mr Nevan still being alive. "But I'm sure that family still lives in hope." March 24, 2014, 6:30 a.m.
SKELETAL remains have been found on a property north-west of Hay. Investigations are now under way to determine whether they are human. Police haven't ruled out the possibility the find could be linked to the disappearance of a man near Ivanhoe more than 10 years ago. A spokeswoman for NSW Police said officers were called to a property at Oxley earlier this month after the landowner discovered an abandoned camp site. "A number of items were located at the camp site, including skeletal remains," the spokeswoman said. "These items have been seized and sent for forensic examination to determine if they are human." It is believed the items may have been there for a number of years, possibly decades. Scott Donald Neven, 31, was last seen on Balranald Road, Ivanhoe, in October 2002. It is understood he was travelling with friends and got out of the car about 20km south of the town following an argument. No trace of Mr Neven has been found since and, at an inquest in 2006, a coroner ruled he met with foul play. A $100,000 reward was offered shortly after for any information leading to the arrest of those responsible for his death. The spokeswoman said the testing could take some time and, while there was no indication of a link to Mr Neven's disappearance at this stage, investigators weren't ruling anything out.